Features Quali-C - The worlds only non-China Vitamin C. Produced in a world-class DSM-owned facility in Scotland. 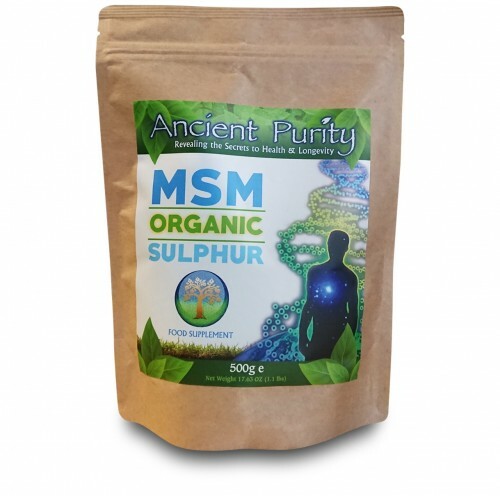 Now made from Sunflower Lecithin. 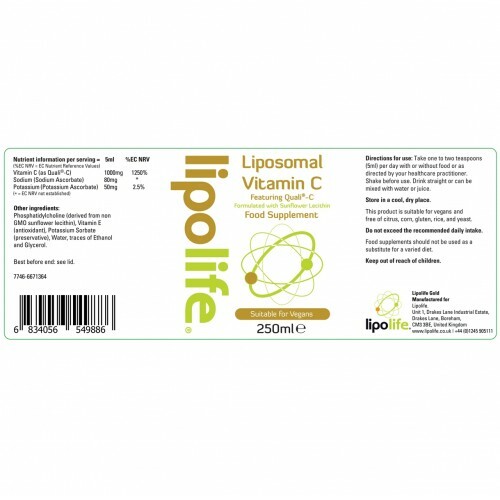 Liposomal Vitamin C is the easiest and most effective way to take Vitamin C. Blood plasma testing is currently ongoing but initial results are staggering, levels have been achieved (> 600 micro mol/l) that were previously only possible with IV vitamin C.
This Liposomal Vitamin C is made with Quali C the only UK made Vitamin C (Nearly everything on the market is from China). Also now with the addition of nitrogen to eliminate oxygen, so no oxidation. NOTE: This does lead to a *pop* when it's opened. 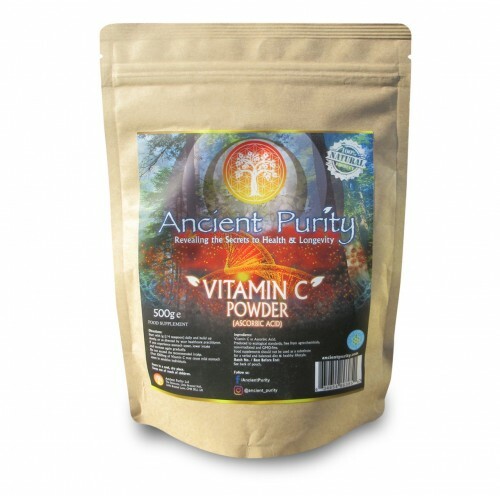 Instant High Dose Vitamin C.
Formulated with Sunflower Lecithin. SOY FREE. Backed up with Clinical Studies. 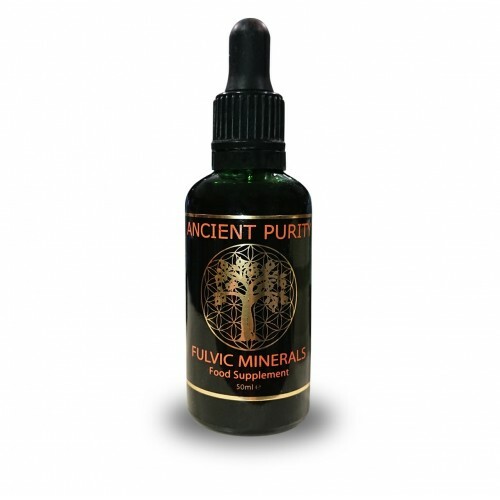 Promotes Longevity and youthful looks. Helps fight colds and allergies. Promotes a anti-viral and bacterial environment. 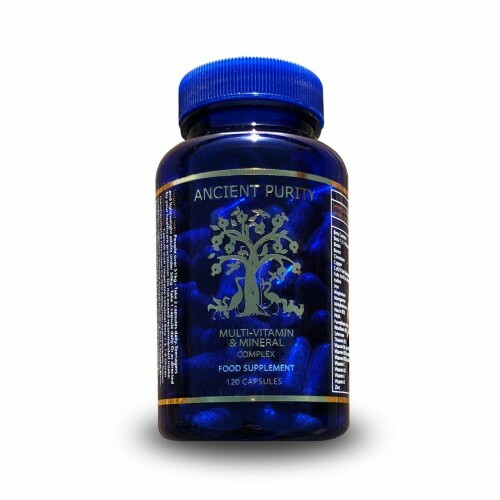 Supports good stamina and alertness. This product has been developed and manufactured in a HACCP registered European laboratory using only European sourced components. Special techniques have been used to ensure the stability and efficacy of the product. You can find more information written on Vitamin C on the other Vitamin C pages. The name liposome is derived from two Greek words: 'Lipos' meaning fat and 'Soma' meaning body. An artificial microscopic vesicle consisting of an aqueous core enclosed in one or more phospholipid layers. In other words, a liposome is a tiny 'nano' sized bubble or sphere (vesicle) made from a phospholipid (in this case, phosphatidylcholine). This is the same material of which our cell membranes consist. These bubbles can be filled with substances such as Vitamin C, Glutathione or even drugs. Liposomes have the ability to carry either water of fat-soluble payloads, which makes them an ideal delivery system. Phospholipids are amphiphilic, they consist of a hydrophilic (water-loving) head and hydrophobic (water-hating) tail. When phospholipids are placed in an aqueous solution, the hydrophobic tails face each other avoiding the water and forming a phospholipid bilayer while the hydrophilic heads form hydrogen bonds with the water molecules. The lipid bilayer will form a closed sphere (liposome) to completely exclude water from the hydrophobic tail. 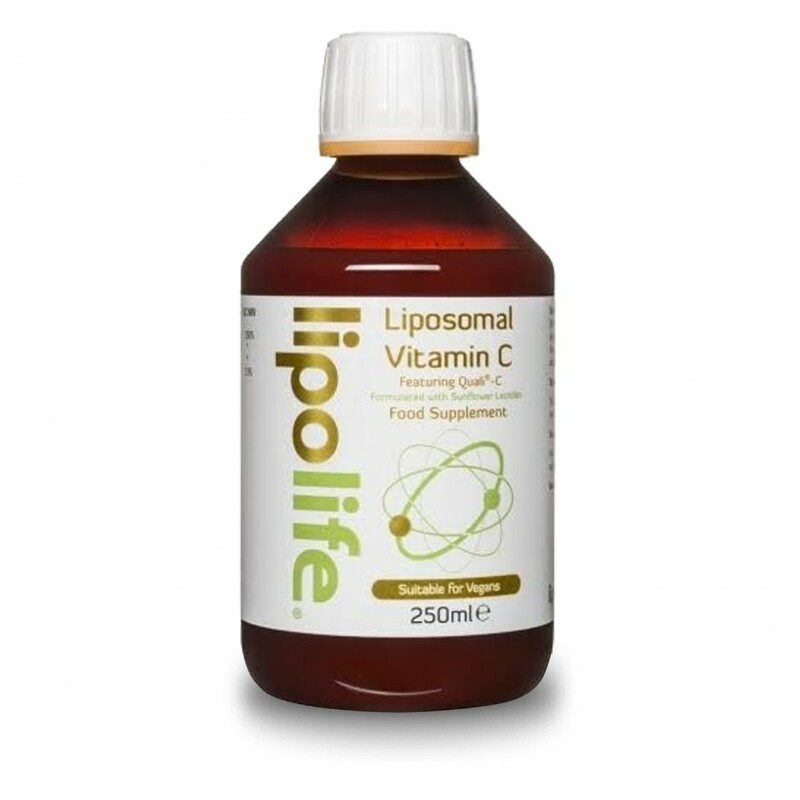 An independent study was commissioned, for a comprehensive report on the bioavailability of 1g of liposomal Vitamin C (Lipolife® Gold) compared to 1g of non-liposomal oral Vitamin C. The bioavailability of Vitamin C has been a controversial topic. It once was assumed by the National Institute of Health (NIH) that oral Vitamin C intakes >200mg induced an absorption threshold of 220µM/until recently disproved by Hickey et al (2008) with a pilot-study that showed concentrations of >230µM/L could be achieved with 5g of liposomal encapsulated Vitamin C.
This was a significant finding for Vitamin C as a therapeutic agent since ascorbate concentrations at 300µM/L have resulted in positve results. Only one other published study has validated the bioavailability of liposomal Vitamin C which showed a 4g dose achieved a peak concentration of approximately 187µM/L compared to 130µM/L with a non-liposomal oral Vitamin C (Davis et al., 2016). The focus of this paper herein is to test and report on the bioavailability of 1g of liposomal Vitamin C (Lipolife® Gold) compared to 1g of non-liposomal oral Vitamin C.
24 healthy subjects took part in a randomised, single-blinded, cross-over study to determine the bioavailability of a single oral dose of 1g of liposomal Vitamin C compared to 1g of non-liposomal oral Vitamin C. The study consisted of two treatment periods and subjects were randomly divided into two treatment groups. In the first treatment period, Group 1 (n=12) received 5ml of liposomal Vitamin C containing 1g and Group 2 (n=12) received 5ml of non-liposomal oral Vitamin C containing 1g. In the second treatment period, Group 1 received the non-liposomal oral Vitamin C whilst Group 2 received liposomal Vitamin C. At the end of the study, the two treatment groups had been exposed to both treatments. A seven-day washout period separated both treatment periods. A baseline blood sample was drawn at 0 hours, the first treated sample was drawn 15 minutes later, followed by; 15-minute intervals until 1 hour; 30-minute intervals until 3 hours; hourly until 12 hours; 2 hourly until 16 hours; and the final sample was taken at 24 hours from baseline. Plasma levels of Vitamin C are measured as ascorbate (µM/L). 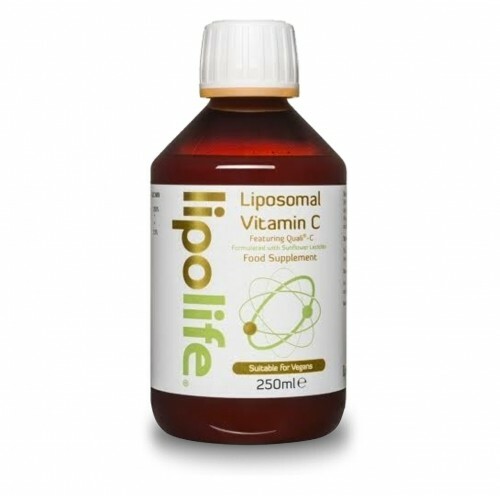 The Liposomal Vitamin C was provided by Lipolife® (Lipolife®, Drakes Lane, Boreham) and non-liposomal oral Vitamin C was provided by Curesupport (Curesupport B.V. Zutphenseweg 55, Deventer). Results from figures 1 and 2 show the oral bioavailability of 1g of liposomal Vitamin C compared to 1g of non-liposomal oral Vitamin C across a 24 and 7 hour period. At 2 hours post-treatment, liposomal Vitamin C reached plasma concentrations that were two-fold the concentration of non-liposomal oral Vitamin C at 205.1µM/L and 102.6µM/L, respectively. Cmax was achieved in both groups at four hours post-treatment with liposomal Vitamin C showing a 2.4-fold greater plasma response than non-liposomal oral Vitamin C with concentrations of 282.3 µM/L and 119 µM/L, respectively. After 24 hours, plasma concentrations of liposomal Vitamin C remained above baseline, however, plasma concentrations of non-liposomal oral Vitamin C had fallen below baseline measurements. A single oral dose of liposomal Vitamin C showed greater absorption and peak plasma levels of ascorbate compared to non-liposomal oral Vitamin C. Furthermore, liposomal Vitamin C resulted in quicker increases in ascorbate concentration and also sustained blood levels of ascorbate over a greater period of time than non-liposomal oral Vitamin C. Oral liposomal Vitamin C is superior to non-liposomal oral Vitamin C and is able to achieve plasma levels in greater magnitude lending itself for great promise as a therapeutic agent in the targeting of chronic disease. Vitamin C (as Quali-C) 1000 mg 1250%. Phosphatidyl Choline derived from Sunflower Lecithin. Aloe Vera, Vitamin E (antioxidant), Potassium Sorbate (preservative), water, traces of Ethanol and Glycerol. Shake before use. 1 teaspoon or more per day or as recommended by your health care professional. If wishing to build up to higher dose, achieve gradually. Can be mixed with water or juice to dilute Keep refrigerated after opening. Storage: Keep in a cool dry place, keep out of reach of children. (Once opened refrigerate). Q - What type of Vitamin C is in the Liposomal Vitamin C? A - Sodium & Potassium Ascorbate. Carr AC, Frei B. Toward a new recommended dietary allowance for vitamin C based on antioxidant and health effects in humans. Am J Clin Nutr 1999;69:1086-107. Chen Q. Espey M.G. Krishna M.C. Mitchell J.B. Corpe C.P. Buettner G.R. Shacter E. Levine M. (2005). Pharmacologic ascorbic acid concentrations selectively kill cancer cells: action as a pro-drug to deliver hydrogen peroxide to tissues. Proc Natl Acad Sci USA. 102(38), 13604-13609 Davis, J., Paris, H., Beals, J., Binns, S., Giordano, G., Scalzo, R., Schweder, M., Blair, E. and Bell, C. (2016). Liposomal-encapsulated Ascorbic Acid: Influence on Vitamin C Bioavailability and Capacity to Protect against Ischemia–Reperfusion Injury. Nutrition and Metabolic Insights, 9, p.NMI.S39764. Drouin G, Godin JR, Pagé B. (2001). The genetics of Vitamin C loss in vertebrates. Current Genomics. ;12:371-378. DOI: 10.2174/138920211796429736 Li Y, Schellhorn HE. (2007). 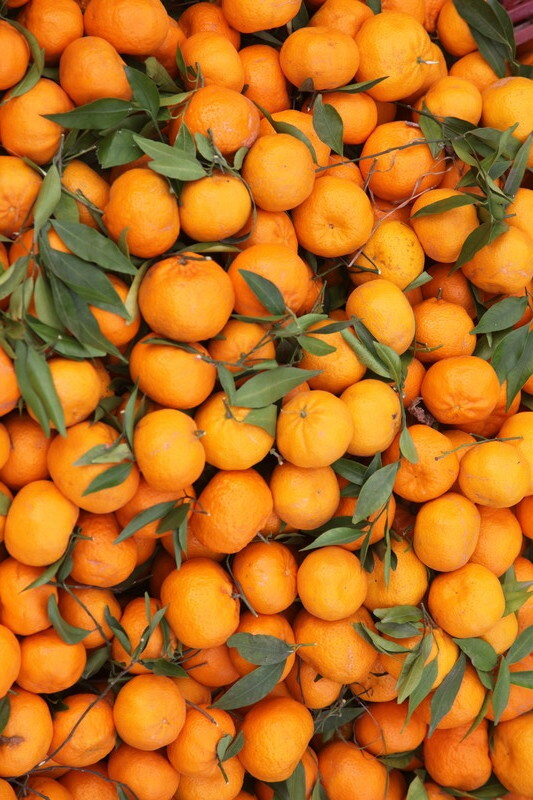 New developments and novel therapeutic perspectives for vitamin C. J Nutr ;137:2171-84.